Former India fast bowler Venkatesh Prasad has denied reports that he has applied for the India coaching job. Earlier on Thursday, the Times of India had reported that Prasad had applied for the post. Speaking to Firstpost, the 47-year-old cleared the air by stating that he had not applied for the post but was "very keen" on taking up the role of the assistant coach or a bowling coach. "I have made my intentions clear that I am very, very keen to perform the role of an assistant coach or a bowling coach. Which is something I am quite keen about and hope CAC (Cricket Advisory Committee) will take a note of it," Prasad told Firstpost over phone. India were without a bowling coach during Anil Kumble's tenure as head coach. Batting coach Sanjay Bangar and fielding coach R Sridhar's contracts had expired in March 2017 but the BCCI decided to retain the services of the two support staff members at first for the Champions Trophy and then for the West Indies series. Earlier, India off-spinner Harbhajan Singh had backed Zaheer Khan for bowling coach's role and reports had surfaced that Kumble had recommended Zaheer's name for the post during the meeting with BCCI office-bearers and members of Committee of Administrators (COA) on 21 May. While Prasad has shown keen interest in being a member of India's support staff, he hasn't written to the BCCI or the CAC yet, expressing his desire but said he "may" plan to write to them. "May be (I will write), but this is what I am very keen about (the support staff job), Prasad said. "Whether it's (Virender) Sehwag or Ravi Shastri or whoever it is, I am very very keen to be associated as an assistant coach or a bowling coach which I have done before. And I would like to contribute immensely with all the experience that I have got of playing and coaching," Prasad added. Prasad, who is currently serving his final year as the chairman of the junior selection committee, has had a varied coaching experience, having worked as the bowling coach of the Indian team that won the inaugural World T20 in 2007, head coach of the Uttar Pradesh team and bowling coach for Chennai Super Kings and Royal Challengers Bangalore in the Indian Premier League (IPL). He also coached the India U-19 team, guiding them to the 2006 World Cup final. "It's not just the experience, it's the results also that have come our way when I was a part of the team as a bowling coach," Prasad said. 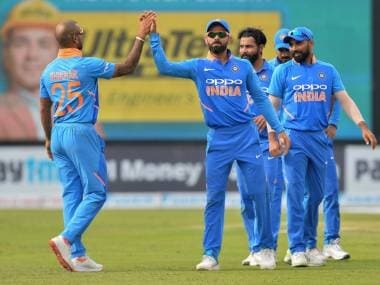 With likes of Umesh Yadav, Bhuvneshwar Kumar, Jasprit Bumrah, Mohammad Shami flourishing, this promises to be one of the most exciting eras for fast bowling in the history of Indian cricket. Prasad has worked with quite a few of them in their nascent years and the former Karnataka pacer feels that his rich playing and coaching experience will come in handy. "I was with quite a few of them (young pacers) at the National Cricket Academy when they were young. 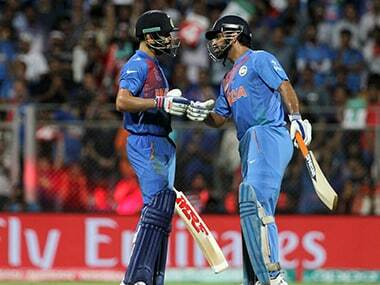 And then, I worked with Uttar Pradesh cricket for three years when Bhuvneshwar Kumar was coming up," Prasad said. "See, what's important is the contribution that you bring in. The difference you bring in in terms of attitude, approach, planning and learning and adapting to different situations. These are the ones which are very important. Having experienced all these things and coming out with flying colours, it will be that much earier to share it," Prasad signed off. 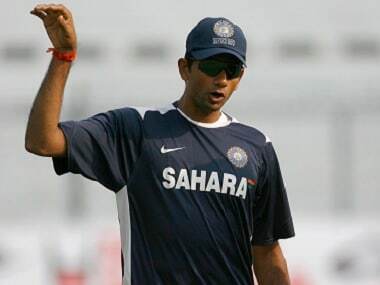 Notably, Venkatesh Prasad had earlier applied for the head coach's job after Shastri's contract had expired last year. With Shastri surfacing as a strong contender for the head coach's job, chances might also brighten for Bharat Arun, who was the bowling coach in the pre-Kumble era, to be posted in his old role.